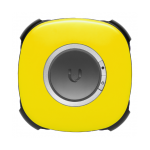 Vuze VR Underwater Case gives you the freedom to shoot VR videos and photos under the water (maximum 135 feet/41 meters)This case enables you to capture underwater VR experiences with your Vuze or Vuze+ camera. 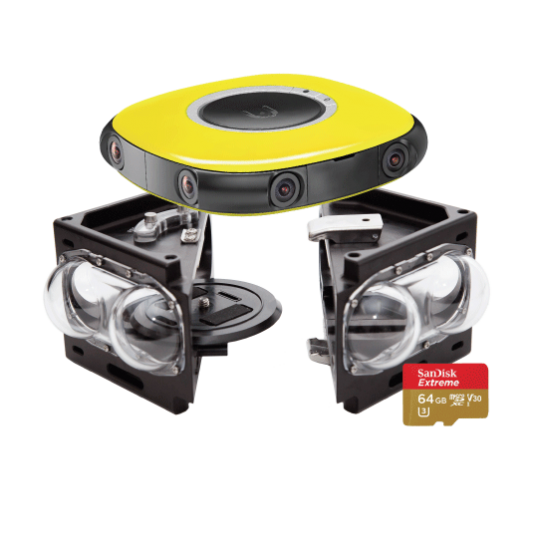 Designed especially to protect your camera and recreate the conditions needed to capture full spherical images in underwater light conditions. 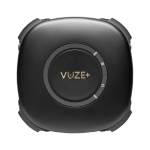 Vuze VR Underwater kit enables you to easily create underwater VR experiences. 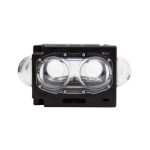 for editing and rendering your VR media. 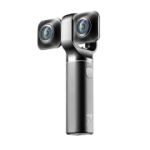 VR Studio can be installed on your PC or laptop and activated using your Vuze Camera. 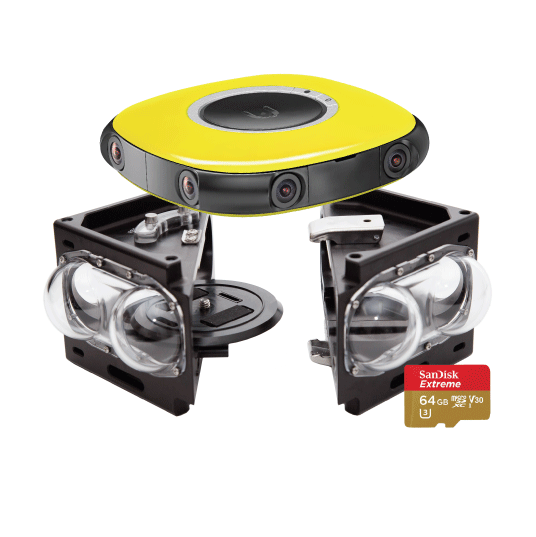 Each camera grants you a license to install the software on 5 computers. Minimal: Windows 8.1, CPU with AVX support, 4GB RAM, Integrated or discrete GPU with 2GB RAM, DirectX 11, OpenCL 1.2, and the most recent drivers. Recommended: Windows 10, CPU with AVX support, 8 GB RAM or higher, Fast discrete GPU (NVIDIA,AMD) with 3GB RAM, DirectX 11, OpenCL 1.2, and the most recent drivers.